On this sacred Raksha Bandhan, savour the sweet relation you share with your dear ones by sending them this Holy Festival with Striking 5 Pcs Rakhi combined with your love along with a free Rakhi, Roli Tilak and Chawal. 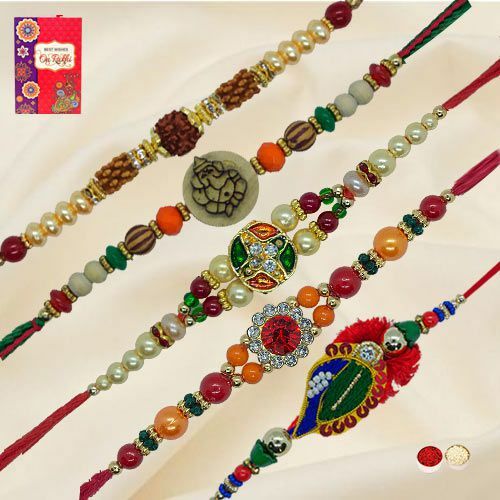 Send your best wishes to your loved ones with this amazing set of 5 Rakhis on the special occasion. Little variation in the design may occur.